"I said to myself at the Festival in Roermond in 1968 that I would try it again with music for one year. 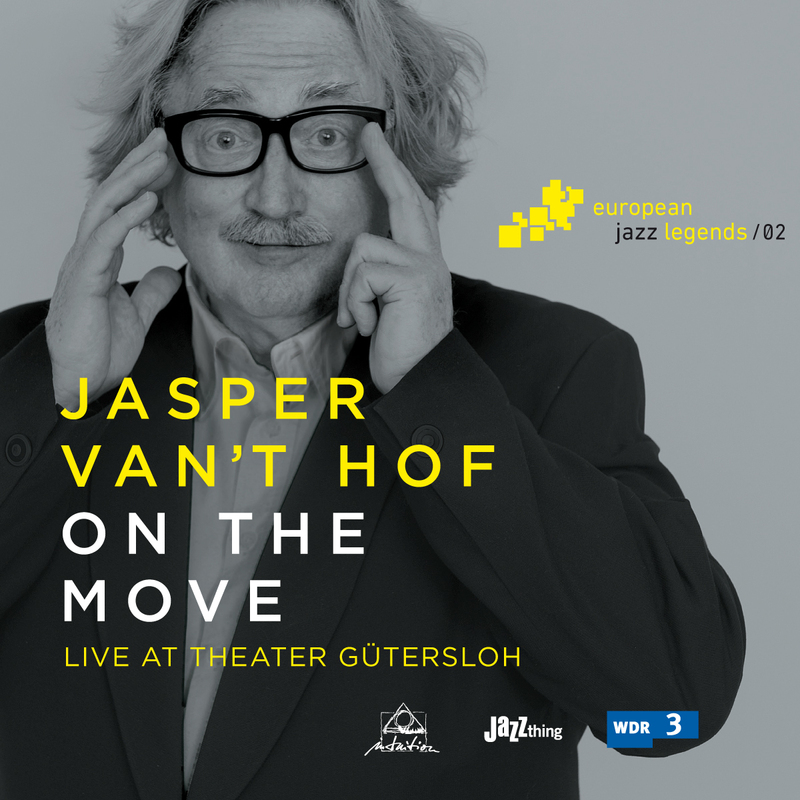 And I'm still stuck in this year ... " Jasper van't Hof liked this quote from his portrait in the series" European Jazz Legends" so much that he immediately shared it on Facebook after the publication of Jazz thing 108 at the beginning of April 2015. Ever since the pianist, keyboardist and composer born in Enschede, The Netherlands, in 1947 quit his apprenticeship as a textile technician in favor of jazz, i.e., around 50 years ago, he has experimented in a beautiful new world of music between hard bop, free jazz and all forms of fusion, from African grooves to European reverence. "I can only be a jazz musician, because I know nothing," he said. "I know nothing! I just have great fun playing, and I rehearse like crazy. I love my instrument, and I have ideas that I try out again and again." ""group dynamics down to the finest detail""
""group dynamics down to the smallest detail""